I love Westerns. Love them. Django Unchained (2012) is Quentin Tarantino's salute to the Western genre. Men on horseback march slaves through the deserts of Texas and into the frostier climbs of Arizona. They slow as a wagon approaches and call out for the driver to identify himself. He does, as Dr. King Shultz, a dentist in search of specific slave, Django. After an altercation results in Dr. Shultz killing one of the slavers and wounding the other, he reveals he is a bounty hunter who requires Django to identify three former plantation owners for him. This epic, loosely based on the legends of Siegfried, is a bit of an excessive legend about a freed slave trying to regain his lost wife. After hearing so much about how potentially racist this film is supposed to be (it does say the 'n' word a lot), it seems that many overlook the fact that this film goes out of its way to linger on the worst parts of slavery. The mandingo and dog scenes are brutal. There has also been a lot of talk about the violence in the film. There is a an almost cartoonish amount of gore that is typical of Mr. Tarantino's flims (see DC's reviews of all of them), but none of it inspired me to go on a shooting spree. Django Freeman is a newly freed slave who revels in learning the profession of bounty hunting, but really longs to get his wife back. His quick skill with a gun is a little hard to believe, but his relationships with those around him isn't. 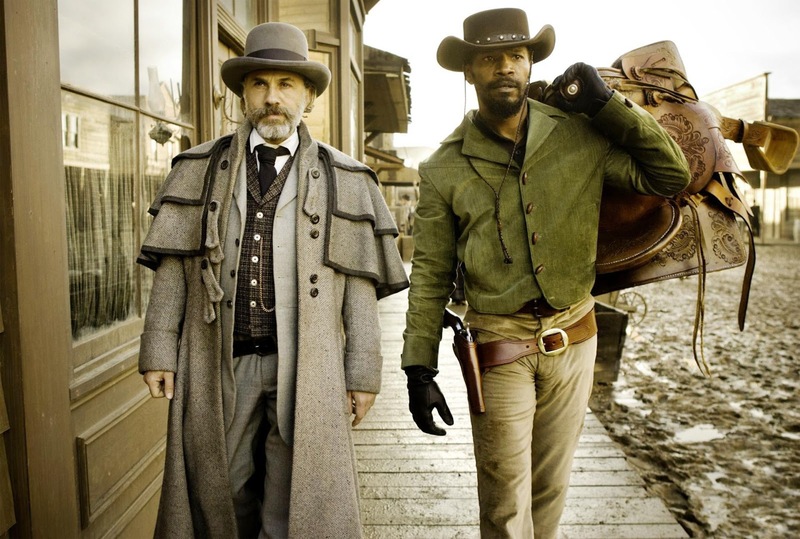 Django acts as an almost secondary character during the first half of the film. He rarely speaks as he learns bounty hinting from Dr. Shultz. However; by the end he truly comes into his own and brings all the gravitas needed. Dr. King Shultz is a German dentist turned bounty hunter. He is hilarious. The way he works around situations and goes into everything with a thorough plan. It's when things begin to go wrong that everything becomes more interesting. I sincerely hope actor Christoph Waltz brings home Best Supporting Actor for this. Broomhilda 'Hilde' Von Shaft is the fair maiden who must be rescued from the mountaintop, also know as Candieland. She appears as an ethereal guide to Django for the beginning of the film before the reality of the situation nearly destroys both Django and his actual beloved. It is incredibly surprising how attached and worried for the pair which is part the work of the lovely slow build in the film and part an extension of Dr. Shultz's own concern. I was a little surprised that Hilde doesn't grow beyond fairytale princess status, but she doesn't really need to. Stephen is the ultimate 'Uncle Tom' for his master. 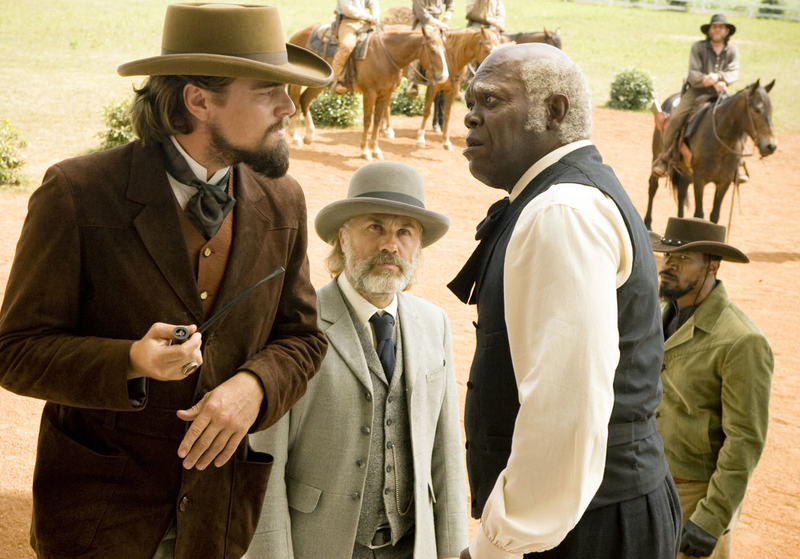 Django describes black servants selling each other out as the lowest of the low and the film works hard to show that as well. Samuel L. Jackson can can a little distracting as his "mother f-ing" pulled me out of the film, but it isn't too bad. The end of Stephen and Django's conflict also gives some ground to the 'this film is racist' camp, but it's very little. Monsieur Calvin J. Candie is a francophile who is the leading purveyor of mandingo fighters in the south. He owns Hilde and seems unlikely to give her up. With his flair for the dramatic and eye for detail he quickly builds himself into a worthy foe for Shultz and Django. 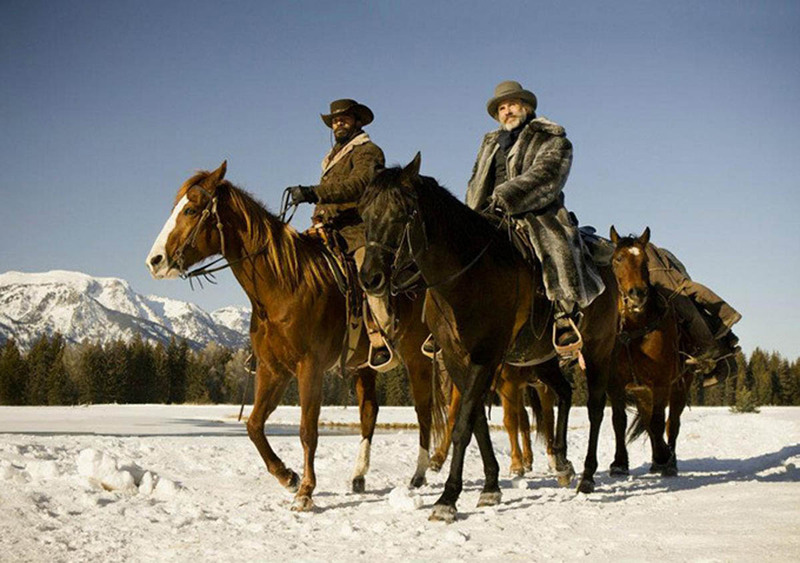 Django and Shultz travel all over the United States in search of bounties and Broomhilda. I was surprised when at the end of the film I found that it was only shot in Wyoming (a staple of modern Westerns) and Louisiana. Everything is beautiful and the locations are exceptionally crafted. The music in this movie is also fantastic. It is a mix of old and new that really helps drive whatever scene its in. It helps that it wasn't until the credits that I disliked a song. The end probably has the most issues out of anything in this movie. It is enjoyable and will keep anyone guessing. The first half of this film is so funny that I don't think I stopped laughing for more than a few minutes at a time. It is very Tarantino humor, but it definitely works. 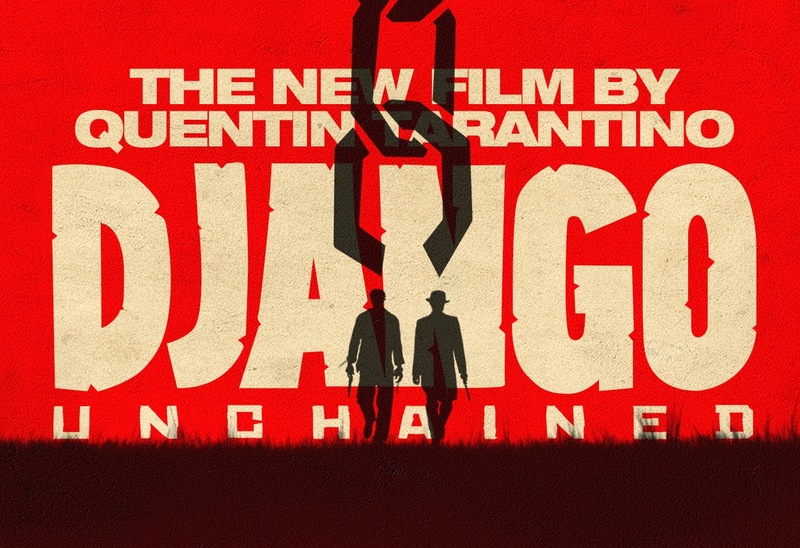 The staples of the genre are pulled together nicely and Tarantino's excesses fit very well in the frame of the genre. This could have easily become Wild Wild West, but instead rises above it to become a dazzling fun ride that stands out well. See it if you love Westerns or Tarantino. Tomorrow, or, hopefully, in about six hours [Yay, post-datitng], I think I'll go a bit foreign.